BN candidate Ramli Mohd Nor becoming the highest ranked Orang Asli in the police force symbolises the failure and not the success of uplifting the indigenous population after six decades, according to Lim Kit Siang. "Surely after six decades of economic and educational upliftment of Orang Asli to be at par with Malaysians of other ethnic backgrounds, the Orang Ali should have reached higher positions not only in the police but in all departments of government. "When will an Orang Asli be among one of top eight in the Royal Malaysian Police? "Or are we only going to produce one Orang Asli as state commercial crime director in 60 years, as at this rate, we will produce the second Orang Asli state commercial crime director in the next 60 years – or two Ramlis in 120 years?” he added in a statement today. The DAP leader said this is unacceptable and the time has come for a "new deal" for the Orang Asli in Malaysia. Ramli's last posting prior to his retirement was as federal commercial crimes department deputy director. Prior to that, he headed the Penang commercial crimes department. Turning his attention to the Department for Orang Asli Development (Jakoa), Lim claimed that it had failed in its mission to uplift the position of the Orang Asli over the past 60 years. He said this is illustrated by the fact that the department was only able to appoint an Orang Asli as its director-general of Jakoa in the past eight months. Furthermore, he added that Orang Asli do not even represent 22 percent of Jakoa's staffing. Lim also questioned the reason for former premier Najib Abdul Razak not visiting the Orang Asli villages in Pos Lenjang during his campaign in Cameron Highlands. He asked if Najib feared that doing so would expose the 30km stretch of "roti canai" roads to Malaysians. "The other atrocious roads that I had travelled are when I visited Kampong Lemoi and Kampong Janggap, both of which were omitted in Najib’s itinerary in his by-election campaign trail. 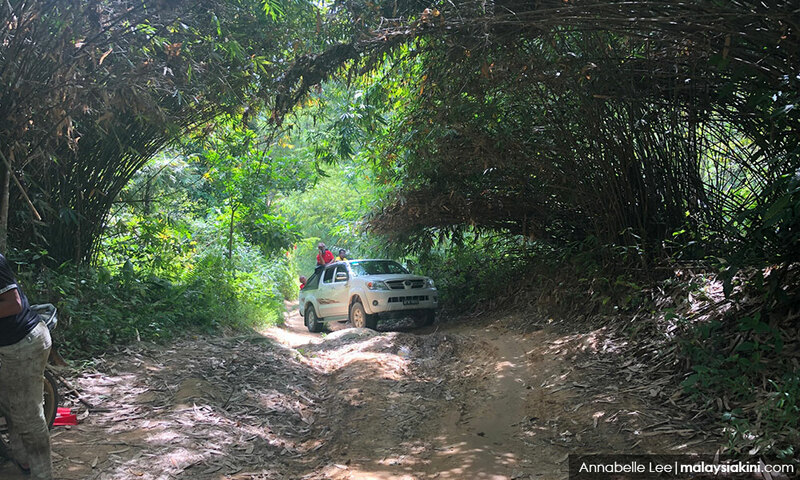 "Because of the 'roti canai' road condition, the journey into Pos Lenjang is a journey of agony and shame, reminding all travellers that we have gone back in time, not just decades but centuries, although we are in the twenty-first century," he added.